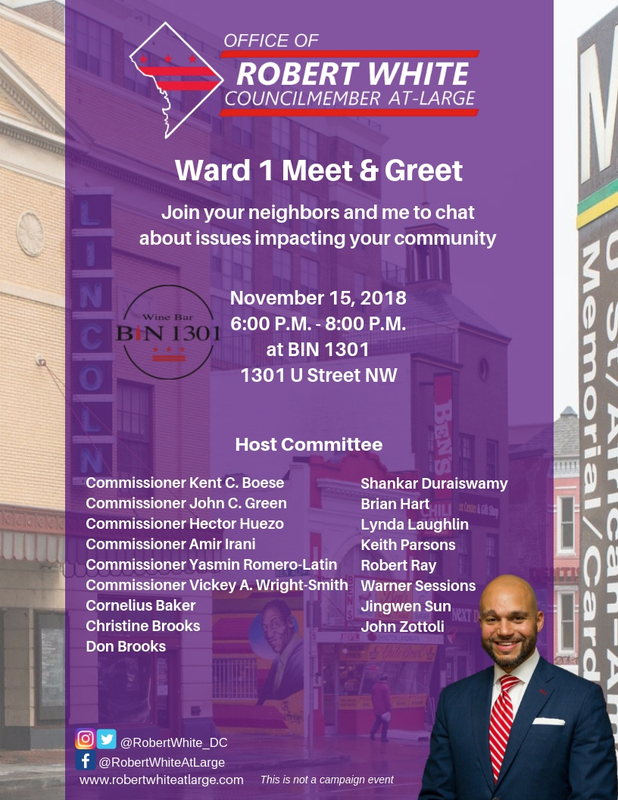 Councilmember Robert White Meet & Greet in Ward 1 on Thursday | Park View, D.C. This entry was posted on November 14, 2018 at 1:36 pm and is filed under Community Involvement, Community Meetings. You can subscribe via RSS 2.0 feed to this post's comments.